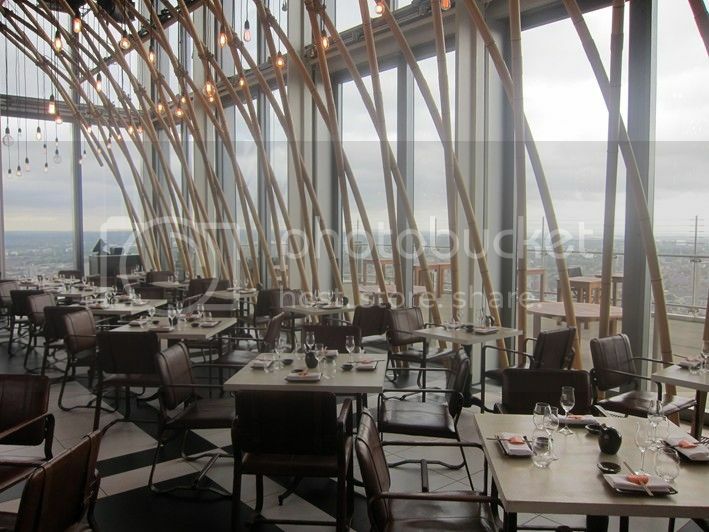 Balancing atop the 40th floor of London’s Heron Tower, Duck & Waffle’s unique food and panoramic views give other city haunts a definite run for their money. Inspired by broad European and British influences, the restaurant offers feast, fizz and fun 24/7 – from breakfast, brunch, lunch, dinner through to late night menus. And when I say 24/7 – it literally is open all night. The all-day menu is served from 11am to 2am; the late night menu, from 2am until 6am; and breakfast, from 6am to 11am – hardly your average post-Disco venue. With prices being generally medium-range (brunch or breakfast averages at about £20-£25 per head), it’s pretty affordable given its vertical appeal and designer vibe. Though tempting to opt for your typical choices for breakfast or brunch, the restaurant’s name-sake dish – the duck and waffle – really is a must try. Consisting of confit duck with fried duck egg and mustard maple syrup, it might sound stomach churningly rich, but is a real treat for the taste buds and a great sharing plate if you want to balance it off with your standard fry up; with other unusual dishes including BBQ spiced crispy pig ears, bacon wrapped dates, spicy ox cheek doughnut and pollock meatballs with lobster cream. 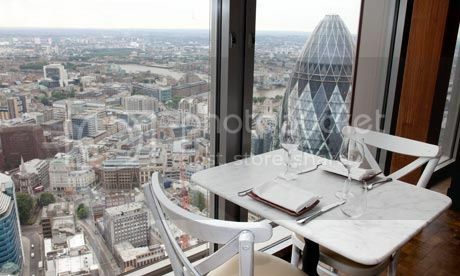 Finally, if you’re on the hunt for a great private room with outstanding views, the restaurant has possibly the best in the capital. With capacity for 20 people and a minimum spend of £1,000, it’s pretty reasonable value when all’s said and done. 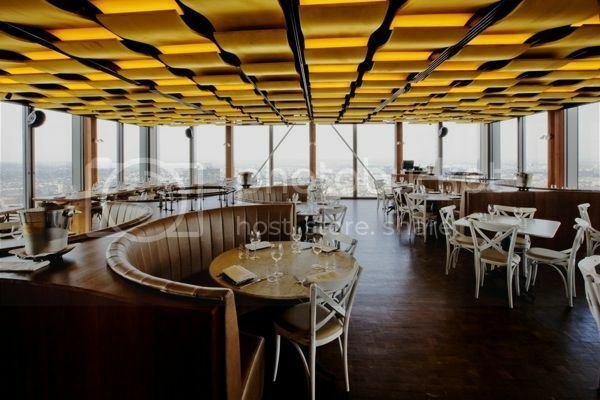 So if you’re not vertigo afflicted and want to experience unrivalled, panoramic views with dishes and choices to match, Duck and Waffle it up. This entry was posted in Cafes, Countries, england, england, england, england, london, london, london, london, Restaurants, restaurants & cafes, Reviews, Travel and tagged bestrestaurantslondon, duckandwafflelondon, reviewlondon, reviewslondonrestaurants, travellondon, tripadvisorrestaurantslondon on September 12, 2014 by Emma Pritchard. 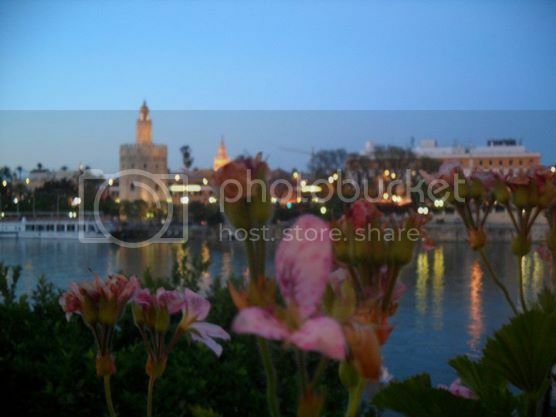 Seville is without doubt one of Spain’s most vibrant, colourful and traditional cities. With row upon row of orange trees lining its cobbled streets and Moorish architecture bedecking the horizon, it’s a truly magical city that many have heard of but not yet visited. Man or woman, spa fanatic or not, this is a truly magical life experience that will make your holiday. Hidden behind a typical entrance door on the narrow cobbled street of the aptly named Calle Aire, herein lies an oasis of calm that tends to the weary mind and body. At €40 for two hour access, it’s great value and a truly intimate experience with only 10 or so people allowed entry at any one point. The owners could surely make a mint out of commercializing this unique venue by cramming it full of weary tourists, but this would defeat its objective to rejuvenate the senses and soothe your soul. 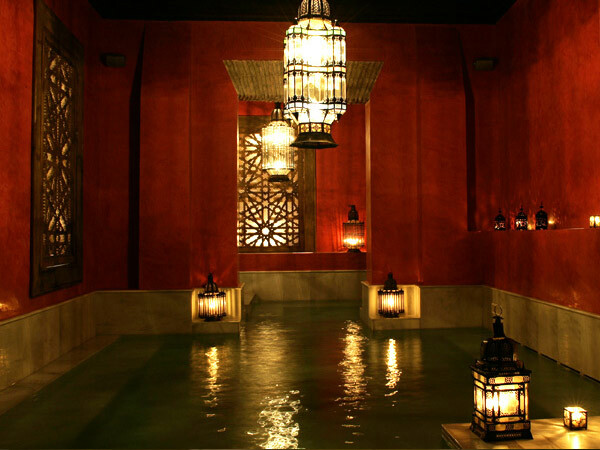 Its various rooms comprise candle-lit, water-filled ‘caves’ dotted with Arabic lamps and ambient music. From hot, lukewarm, and cold hydro-jets, to eucalyptus-infused steam rooms and salt-water pools, the ambience really is something to behold. Once your time is through in the low-lit spa areas, you can slowly amble to the relaxing lounge area for a small pot of tea or a cocktail with a pastry – the perfect start or end to your day. 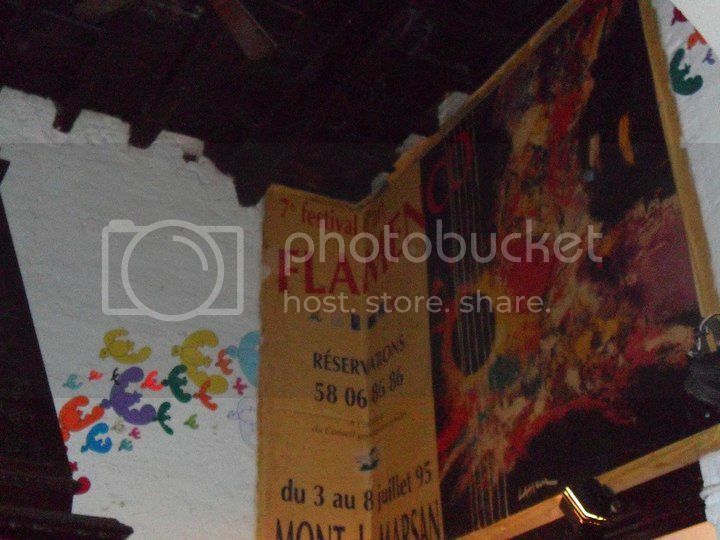 An incredible, bohemian flamenco bar nestled on a back street of Barrio de Santa Cruz, this venue is a hidden gem and firm favourite with friends who have visited it. Come 8pm, this converted, modest coal yard is packed to the rafters with locals and tourists alike, with live nightly flamenco performances at no extra charge from 11pm onwards. Its walls bedecked with colourful artwork and ceilings lined with rickety old ceiling fans, it is quintessential Spanish at its best and a must visit for all. With its name literally translating to ‘the corner’, this is the oldest tapas bar in Seville located on the corner of Calle Gerona 32 near the church of Santa Catalina. Steeped in history and a firm favourite amongst locals, this venue is tradition embodied. Aging hams adorn its antiquated ceilings, orders are messily etched in chalk on the bar while the waiters are dressed smartly ready to deal with the chaos that ensues during the lunch-time rush. Standing at the bar or hip high barrel tables is the best way to really experience the buzzing atmosphere although there are more formal tables available in the restaurant should you wish to rest your weary feet after a day of site seeing. Seville’s coolest outdoor bar, El Rio Grande is, as its name suggests, situated on the imposing banks of the River Guadalquivir at the end of the buzzing Calle Betis. Upstairs lies a more formal restaurant area bedecked in smart white tablecloths and crockery, however the lower level outdoor area is where the magic really happens. Nestled among lush palms, smart decking and low-lit hidden lighting is a hideaway bar area overlooking the stunning vistas of the river. A secret Spanish Neverland, this bar is a must visit for its stunning location and magical atmosphere. One of my favourite places on earth. 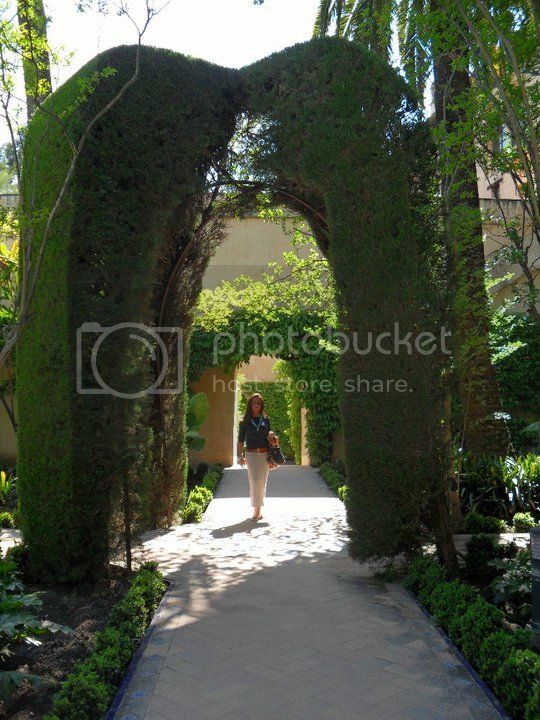 The Alcázar of Seville is a royal palace, originally a Moorish fort and the oldest royal palace still in use in Europe, with the upper levels of the Alcázar still being used by the royal family as the official Seville residence. Room after room showcases beautiful art and architecture, but for the real romantics out there, the gardens are the true sight to behold. Elegant palms and beautiful flowers scatter its extensive grounds, with shade-drenched benches located at regular intervals to allow its visitors to take in the surrounding views, protected from the strong Spanish sun. Located in the centre of town opposite the Cathedral, any stresses that you feel will quickly fade away after an hour inside this beautiful space. The magnificent bullring is considered to be one of the finest in Spain and is one of the oldest and most important in the world. 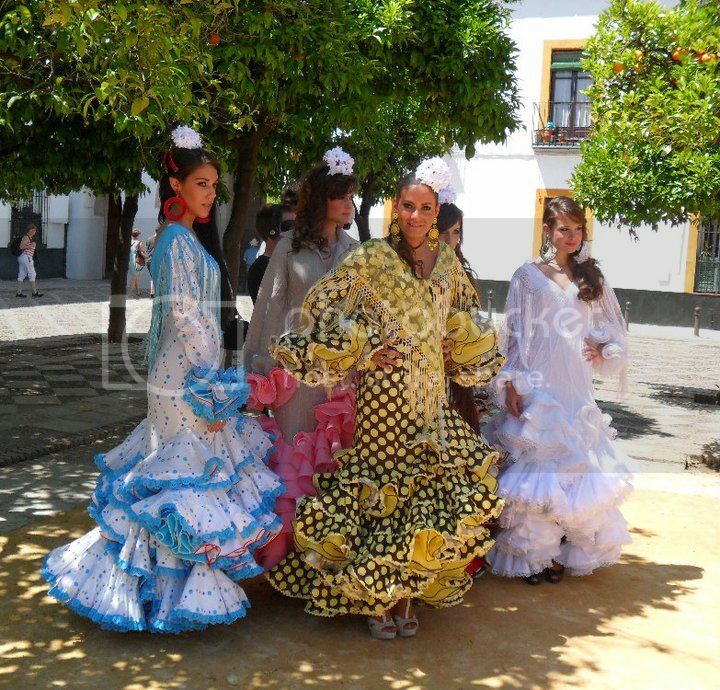 Whilst sections of the younger Spanish population are against the sport, it remains phenomenally popular in Seville, with its electric atmosphere being an essential experience. With its impressive Baroque façade dating from 1762, the arena accommodates 14,000 bodies – which tend to be dressed in their finest Sunday best. If you don’t fancy experiencing the gore of a bullfight, tour visits take you to the modestly sized museum, which traces the sport’s history from the 18th century to present day – here you can peruse an array of costumes, posters and bull’s heads, as well as paintings of some celebrated Sevillano toreros. Situated at the heart of the city overlooking the river, the bullring is the most striking visual symbol of both Seville and wider Spain, and will prove a memorable experience. The primary tourist neighborhood of the city and the former Jewish quarter, Santa Cruz is bordered by the Jardines de Murillo, the Real Alcázar, Calle Mateas Gago, and Calle Santa Maria La Blanca/San José. Its labrynthine streets house many of Seville’s oldest churches and several plazas full of bars and terraces – brimming with character it is the perfect area to amble gently around before or after a relaxing lunch. The largest Gothic cathedral and the third-largest church in the world, Seville’s cathedral is a masterpiece. The Giralda, its bell tower, stands at 343 feet high and is the perfect spot to take in the panoramic views of the city after a short walk up the 35 stairs. With construction having begun in 1184, the building is steeped in history and traditionalism. 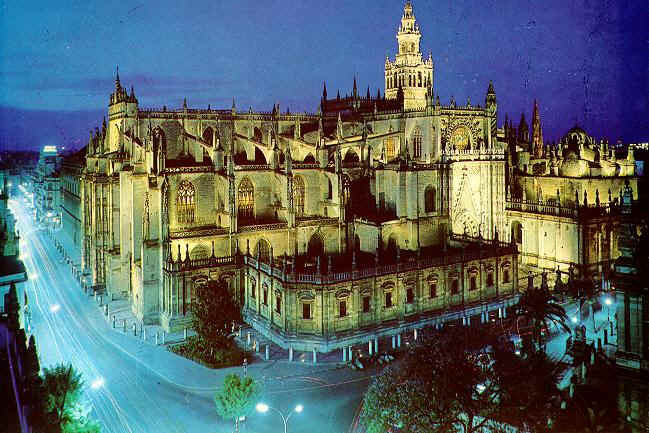 Grand, elegant and traditional, the cathedral is one of Seville’s finest attributes and will astound your senses. 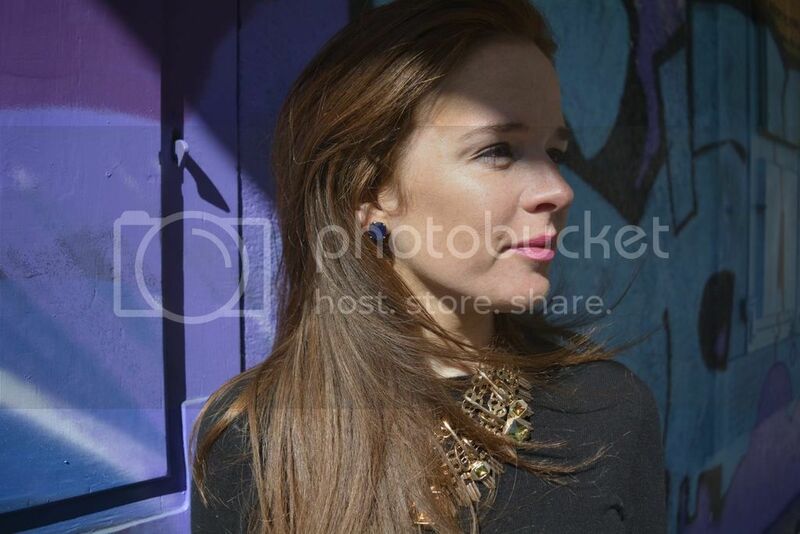 This entry was posted in Countries, Posts, Seville, Seville, Spain, spain, spain, Spain, Travel and tagged bestplacesseville, seville, topsightsseville, travelseville, travelspain, tripadvisorseville on September 8, 2014 by Emma Pritchard.